Real Madrid and Portugal striker Cristiano Ronaldo has reportedly settled his tax fraud charges with Spanish authorities, agreeing to pay $21.7 million, or approximately €18.7 million, to stay out of prison and receive only a suspended two-year sentence. 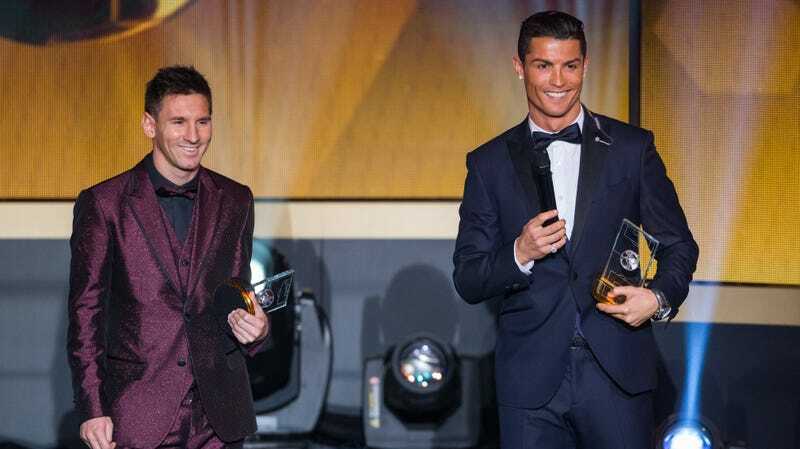 Ronaldo’s achievement breaks the tax evasion mark set by his greatest rival, Barcelona’s Lionel Messi, whose 2016 tax fraud conviction in Spain saw him only receive a 21-month suspended sentence, and a meager €8.75 million in fines between him and his father. Ronaldo and Messi have stayed neck and neck in their competition to be the best in the world through recent years, with Messi and Barcelona generally outplaying Real Madrid in La Liga, and Ronaldo’s squad reaching the highest heights of the Champions League. But Messi undeniably opened a wide lead in the “tax evasion” dimension of the rivalry when he and his father were both convicted by the Spanish courts of hiding some of Leo’s earnings in an image rights contract from 2006-2009. It’s taken nearly two years for Ronaldo to catch up, but now, in the exact same legal system, he’s exceeded Messi’s accomplishments. It was reportedly Ronaldo’s own image contract, from 2011 to 2014, that defrauded the Spanish government of $17.7 million. And even though he was significantly older than Messi was during his own tax fraud, Ronaldo’s still got to be proud of a number that so dwarfs Messi’s. He’ll look to keep the momentum going with a strong showing at the World Cup this month.